Our Children’s Birthday parties are a special time to celebrate and spend time with family and friends, but more importantly our Children’s friends. From location to theme it is all planned out. However one of the most Important items is the Goodie Bag. A goody bag is a bag containing candy, small toys, or other gifts given to party-goers or attendees of an event. Yes, parents the Goodie Bag at Birthday parties is a big deal, they are a far cry from what we used to get as kids. An easy way to give a great Goodie Bag is to let the kids make it themselves. Host a Gourmet Popcorn Bar and as your guests leave let them fill their own bags to take home as a thank you for attending. Two cups of popcorn per person is a nice amount to plan for – a little less for smaller children. 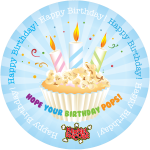 Birthday Cake – Is it possible to blend up an entire birthday cake, sprinkles and all, no candles of course and put it on popcorn? Yep! Go ahead and make a wish. All you need now is party hats, to serve in not to wear. Add Strawberry Parfait or Neapolitan to complete the party. 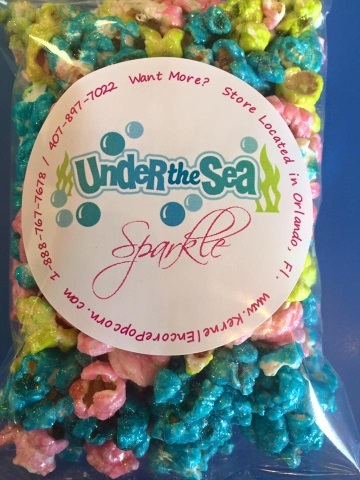 Confetti – Confetti popcorn is a delicious rainbow mix of ten fruit flavors: Banana, Blueberry, Blue Raspberry, Cherry, Grape, Green Apple, Lemon, Orange, Strawberry and Watermelon. Every bite is a taste adventure for your mouth. Pick out you favorites, blend them together, and make new combinations. Perfect for an individual treat or for the whole class. With so many flavors, you can’t go wrong. White Cheddar – White Cheddar popcorn is so creamy and rich you will find it mixes well with just about anything. Vanilla and White Cheddar is one of my favorites. You’ll never need an excuse to indulge in White Cheddar, though you will make excuses all the time. After school, after work, afternoon, whenever. Cotton Candy – Sweet, crispy, and light. Cotton Candy is quite a delight. Perfect for parties and celebrations, and new babies alike. Special Fruity Mix – So you are having a Superman party, mix Cherry and Blueberry. My daughter wants an Under The Sea Mermaid party, mix Green Apple, Watermelon, and Blue Raspberry, oh and she must have it Sparkle, no problem. With so many colors and flavors we can always match your theme. Pink Sparkle Sugar Corn – Pink Sparkle Sugar Corn (or Blue Sparkle Sugar Corn) is sweet, light and crispy with just a touch of glittery Sparkle. Perfect for making a statement at a party. Marshmallow Crisp – Marshmallow Crisp was the Snack of The Day on Rachel Ray. This one is yummy to the last bite. Sweet, light, and crispy just like a Rice Crispy Square. Perfect for school parties when you want to be the mom or dad that does things a little different. Cheddar Cheese – This Cheddar Cheese popcorn is so cheesy you will enjoy it a second time around as you get all the cheese off your fingers. We use only the finest REAL cheese and melt it down to smother our popcorn with a generous blanket of cheesy goodness. Our Cheddar is crispy, smooth and has a rich taste. Cheddar Cheese popcorn matches well with Caramel and my personal favorite Peanut Butter. Theater Style – Just like a trip to the movies, without leaving your house. Buttery, crispy, and salty. Perfect for snacking on any time, even if there is no movie being watched. Microwave popcorn does not stand a chance against this perfectly popped snack. Pizza – America’s most popular food flavored on a single kernel of perfectly, popped perfection. Say that 3 times fast, or just order yours today and say that with a mouthful of Popcorn. I betcha can’t. 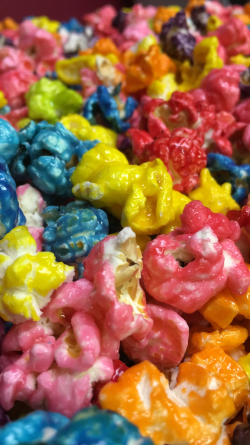 This entry was posted in Popcorn Flavors, Top Lists and tagged birthday party, flavored popcorn, gourmet popcorn, party, popcorn, popcorn bar, popcorn flavors, specialty popcorn by KernelEncore. Bookmark the permalink.